Every book blogger’s worst nightmare is coming true for me – my local library is closing! Luckily it’s only temporary, and for a good reason (the big building they’ve been constructing is ready to be stocked up with books and will be opening in 8-10 weeks!) but the timing is terrible! I’m picking up Paper Towns by John Green tomorrow, and I think I’ll have to grab a few more books to hold me over until the new building opens up. I can’t wait for the Grand Opening of the new library! I’ll take my camera and make a post about it. The library in my hometown is HUGE with several smaller branch libraries scattered around the city; working with a system that has had several small branches and no large “home” library has been a learning experience for me. 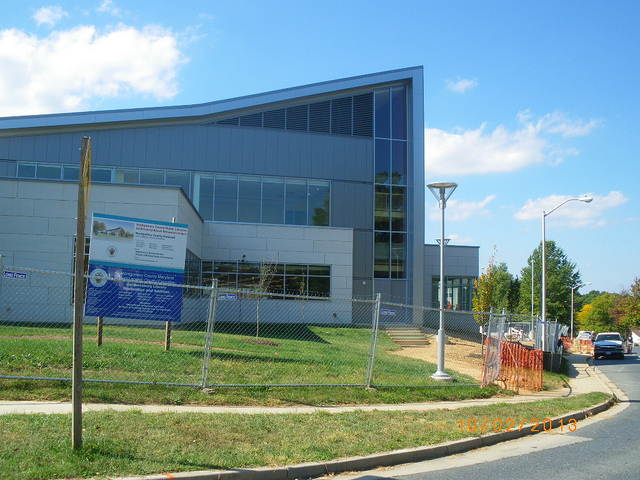 With the opening of the new Gaithersburg library, though, it should be more what I’m used to. The library I grew up with in Eugene, Oregon, outgrew its building my freshman year of college and moved to this beautiful building, built specifically for it. Through our various moves to southern California, North Carolina, and now Maryland, I’ve never found a library that quite matched it in size or scope. 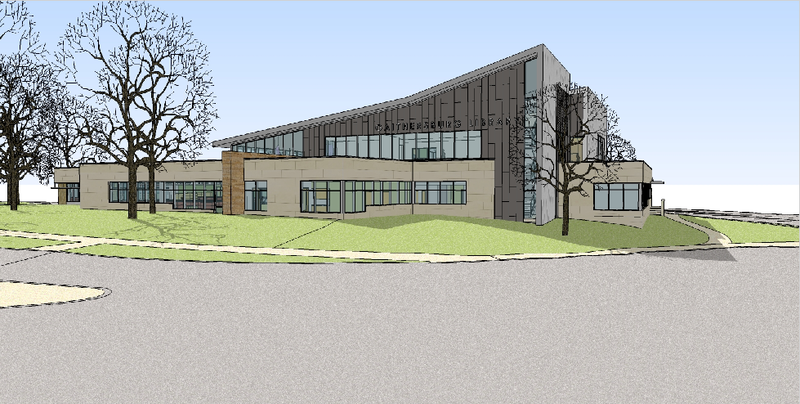 I’m very hopeful for the new Gaithersburg library though. 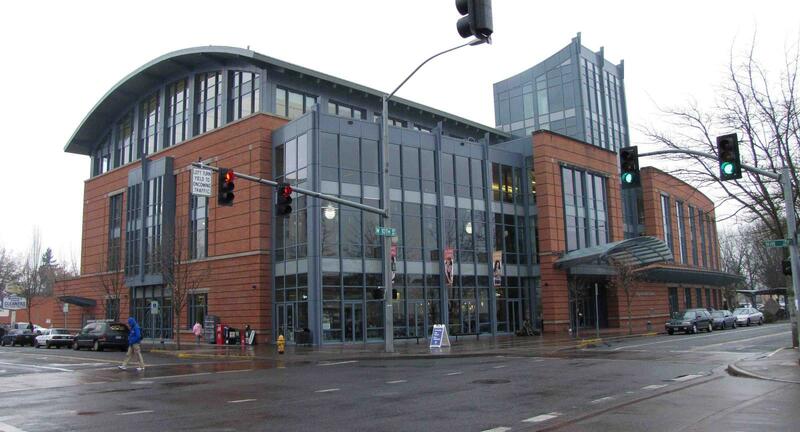 This is a piece of concept art for it – all those windows remind me of my hometown library pictured above! This is a look at how it’s actually shaping up. It looks pretty good from outside, so I’m very excited to see it stocked with books! In the meantime, if I REALLY need to, I can go to another branch library; there’s one in Rockville, which is a bit of a drive but not too bad. What does your local library look like? This entry was posted in Libraries and tagged John Green, Libraries, Library. Bookmark the permalink. ← Mobile Libraries: Bringing books to hard-to-reach places.